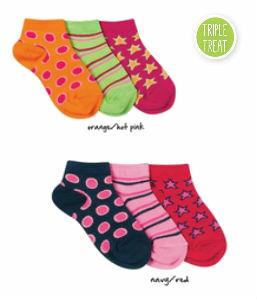 Dot, stripes or stars - your pick! Colorful pattern low cuts for the fashion minded little girl. Price shown contains 3 pair. You get one pair of each pattern in the assortment.